A collection of Best Portfolio WordPress Themes. A marketplace like Themeforest provides many WordPress Themes for a different purpose. All of these Themes are not the best. You should choose the best for your business. What Are The Best Portfolio WordPress Themes? Within thousands of Themes, there are 100 are only best. A Theme becomes best with its quality, Design concept, Standard Code, and user satisfaction. Keeping in mind all of these facts, I finally made a list for only Portfolio WordPress Themes. Here you can find most of the newbie Themes with the best user rating and design idea. These Themes provide modern quality and trends with the latest technology. These Themes are not only perfect for Freelancers but also for creative agencies and other some business. 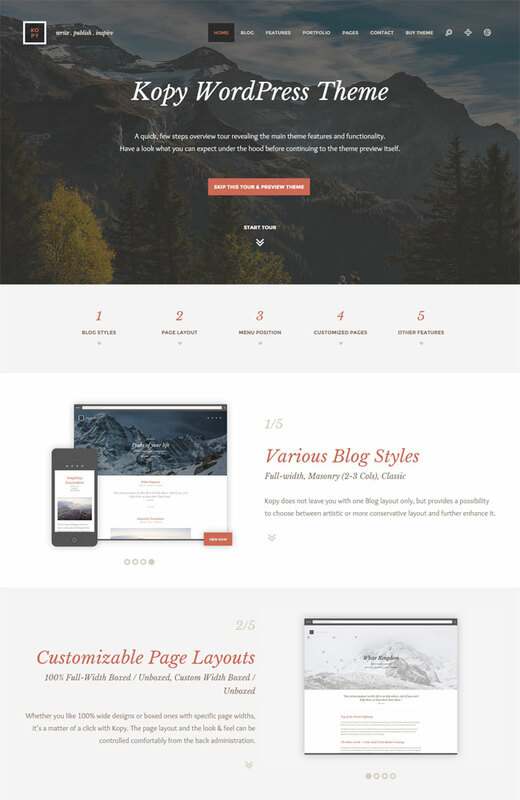 MAMA is a Clean and Creative WordPress Theme. This Theme adjusts with any type of device. You can use this Theme for your personal or professional Portfolio, Creative Agency, Designers, Photography and some other business. If you face any problem with this Theme please contact with support forum and they will contact with your within a few minutes. For details information, you can check the Features Page of MAMA. Don’t hesitate to buy MAMA WordPress Theme. Do you need a Bog or Portfolio Website for personal branding or promotion? 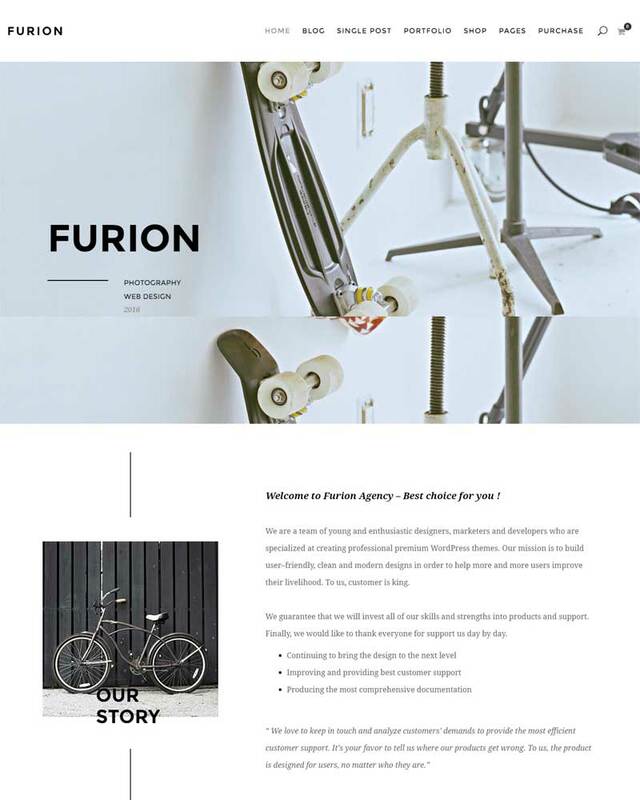 Furion will be a great choice for you. It’s suitable for agencies, freelancers, creative professionals, illustrators, Photographers, and others. This Theme Designed to stand out yourself over the world. 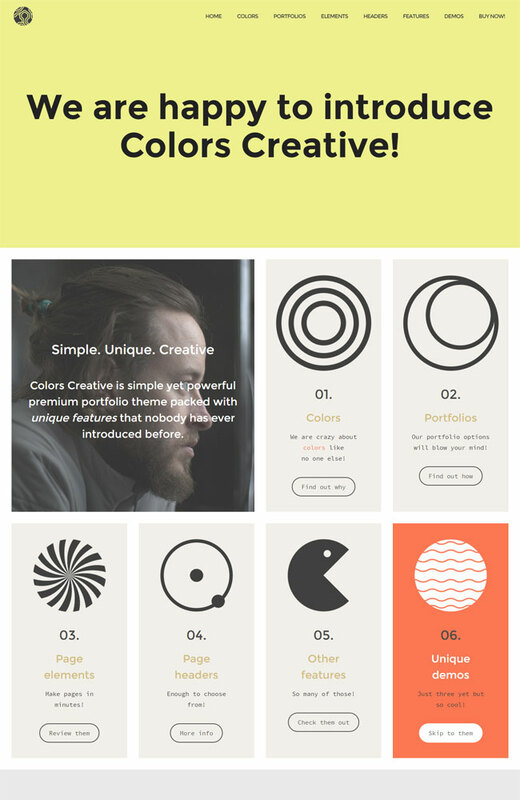 This WordPress Theme proves that color is the main key to being creative. Colors Creative Theme will bring your website alive with color effects. This helps you to showcase your work or photograph. You have to use your own imagination for creating something better than other. This WordPress Theme is suitable for Agencies, Freelancers, Illustrators, Photographers, and other creative professionals person. 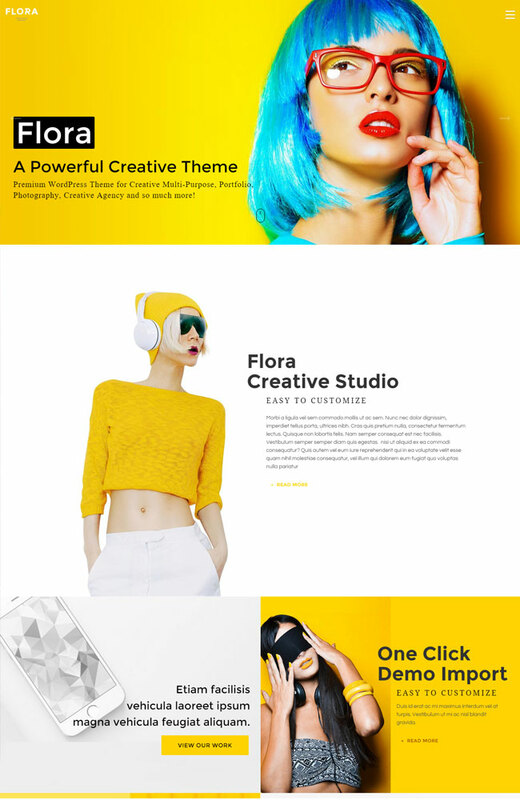 Flora is one of the High-Performance WordPress Theme. This Theme comes with a smart Option panel. The easy option panel helps you to customize your full web site with an easy way. Some click can change your website design. Create responsive web pages with Drag and Drop Page Builder. No need to coding for any layout for creating Web Page. 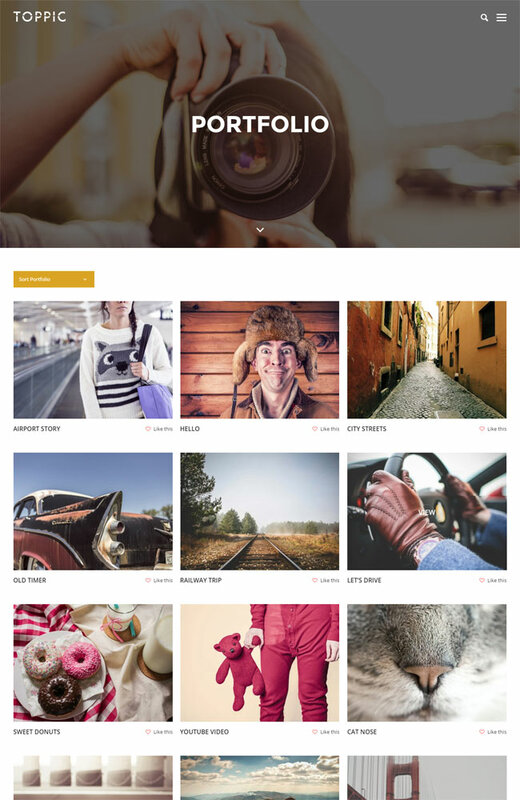 Photo Me is a minimal WordPress Theme to showcase your personal photograph with a creative way. This Theme developed with modern and latest WP Technology. You can easily create Responsive pages with Photo Me Theme. Photo Me is a great choice for the photographer, creative designer, the design agency. Twitter Bootstrap Framework helps for developing Yunik WordPress Theme. Credit goes to Revolution Slider Plugin (18$ Value), Visual Composer Plugin (32$ Value), Ultimate Addons Plugin (17$ Value), Cube Portfolio plugin (16$ value) for making this awesome Theme. With one click, you can install the demo and get the page layouts within a few seconds. Berger express everything within a few sentence. 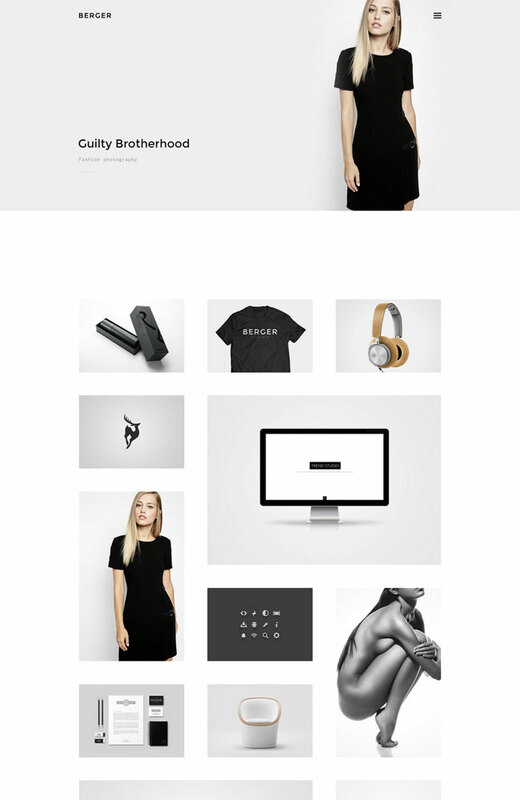 It is a very minimal Theme is perfect for any Agency, Designer, Freelancer Portfolio, Photography and so on. 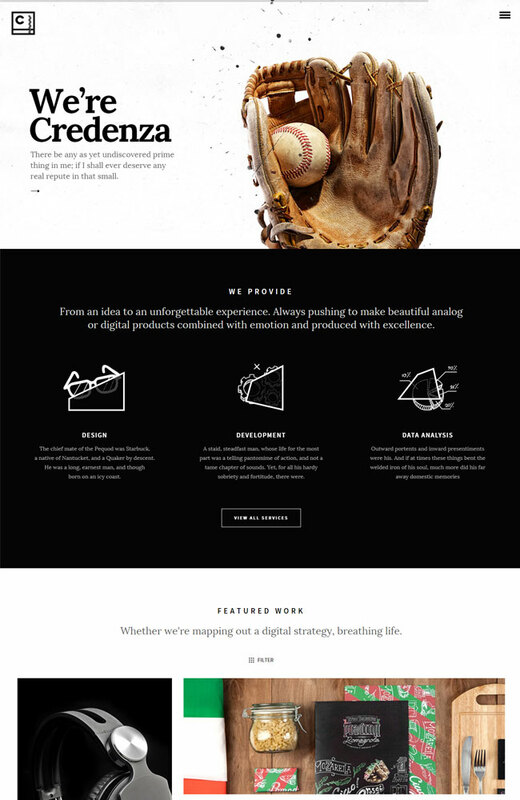 The presentation of this Theme is better than some other Portfolio WordPress Theme. As a reviewer, I can suggest you to check the demo look of Berger. 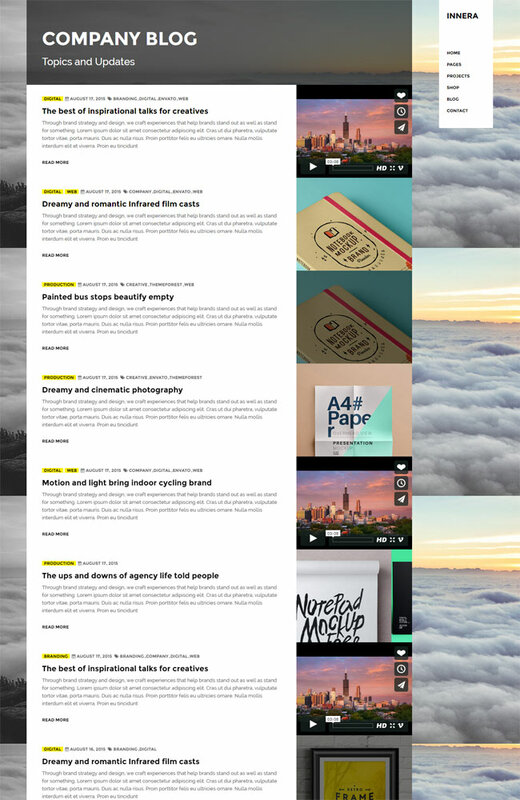 Kopy is a very simple WordPress personal Blog Theme. You can easily share your personal story and professional story with Kopy Theme. The drag and drop page builder helps you to design your pages as you need. Store and Display your content with a right, useful and clean way. Visual Composer helps you to create an awesome page with the page builder. You will get more than 10+ different types of homepage with other page variations. Candy is a fully Responsive WordPress Theme and compatible with Bootstrap. This Theme provides One-Page and Multi-Page variations. Just choose what is perfect for you. Candy WordPress Theme is super for corporate, portfolio, personal, agency, as a one-page site. Hudson is very easy to install and provide one click demo installation. You can find a huge collection of pages which is essential for creating the best website. This Theme can be used for personal or business purpose. Showcase your content with Unique Presentation. Are you looking for a very easy Theme for customization and set up? Then Rook is the winning choice for you. The Visual Composer backend and frontend page builder helps you to design your page as with your content. 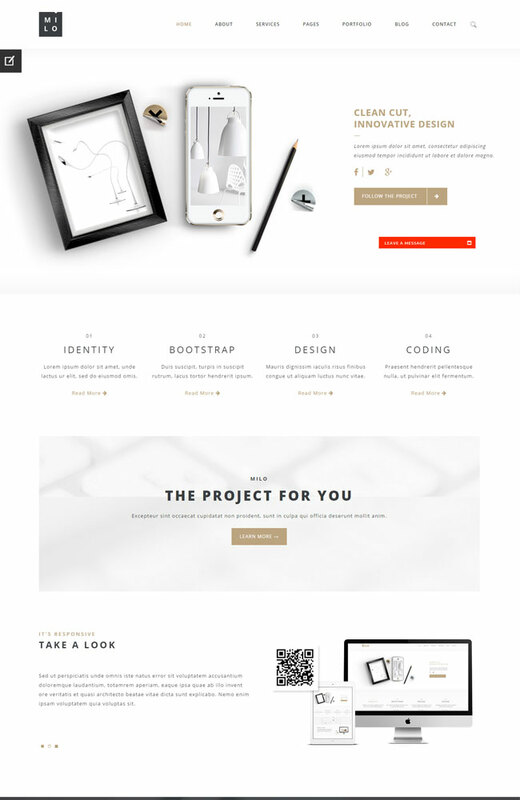 Rook is a clean One-Page and Fully Responsive Theme. 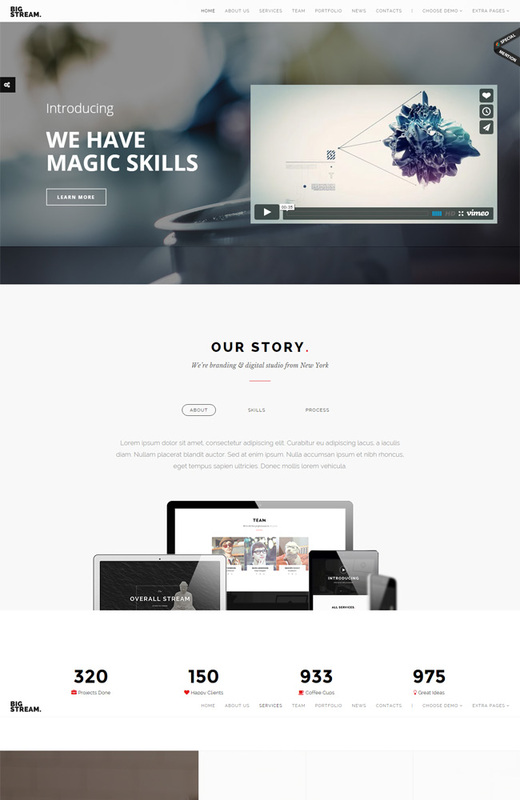 Arnem WordPress Theme created in 2014 but loved by many Freelancer. This WP Theme provides Retina Ready Display with 100% Responsive Design. 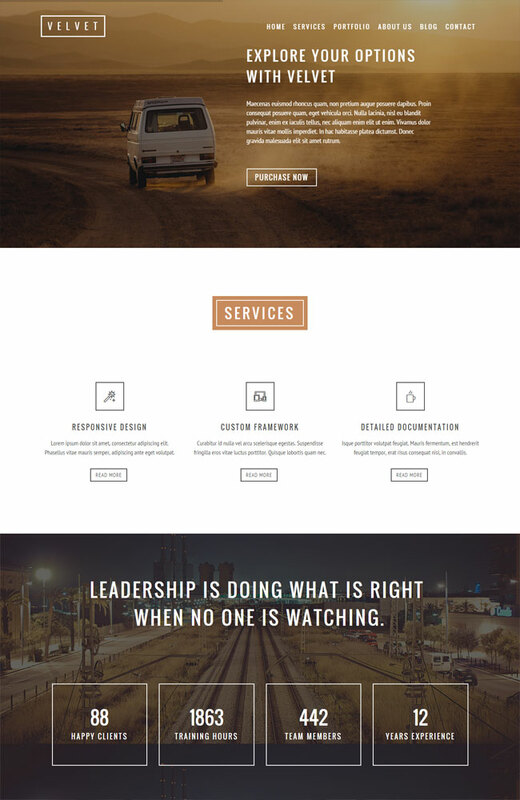 This Parallax Theme developed with pure HTML5 and CSS3 code. This is the perfect choice if you like to create Personal Portfolio, Corporate Portfolio or Agency site. 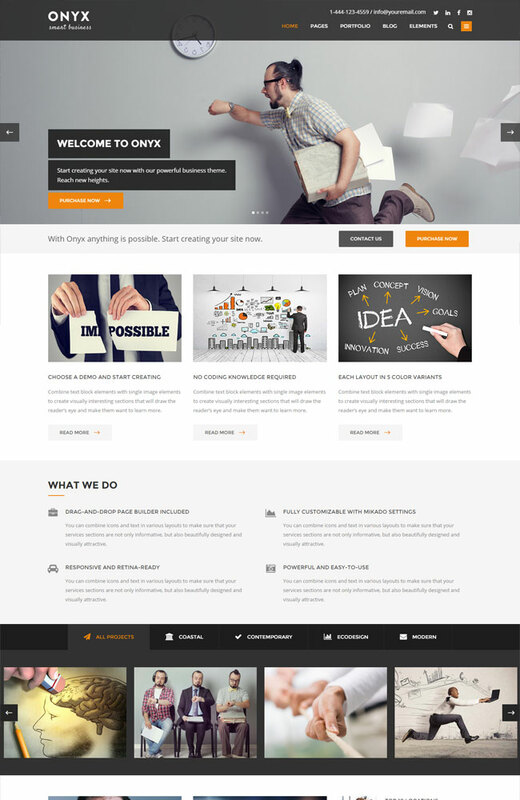 Onyx Theme can give you idea for your future site by the demos. It has 12 layouts with 5 color variation. You will see total 60 demos. This is an awesome personal or business Theme. You can easily run your E-commerce business with WooCommerce with this Theme. SEO Ready, One Click install, Responsive Design and so many features. Revolution Slider & Visual Composer increase the demand of Velvet WordPress OnePage Theme. This Theme perfect for Personal or Official Portfolio. Responsive Design adjusts your website with any types of device. Page builder helps you to art your WebPage with your content. Do you want to create a personal brand with your portfolio? Then Verko is the best choice for creating a website. This Website Theme encourages the user to take another step for using the form, call-to-action, photo or video. Also this is a perfect Theme for creating an Agency website. 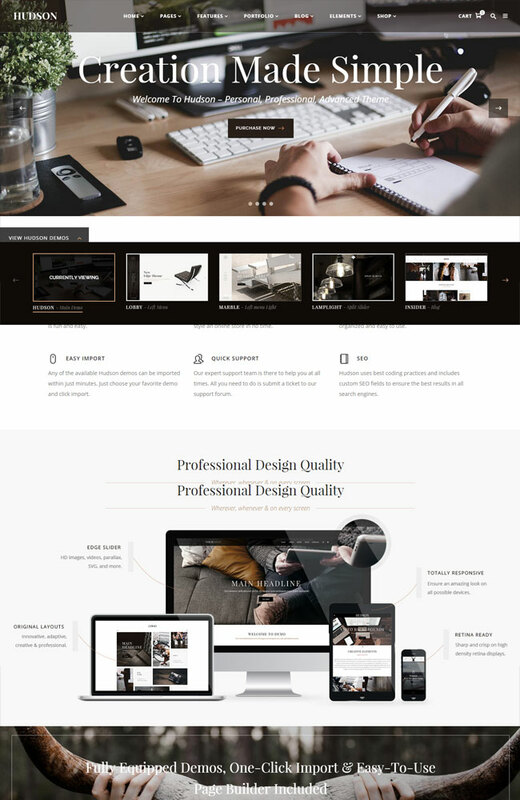 This Theme developed with modern technology and minimal design. 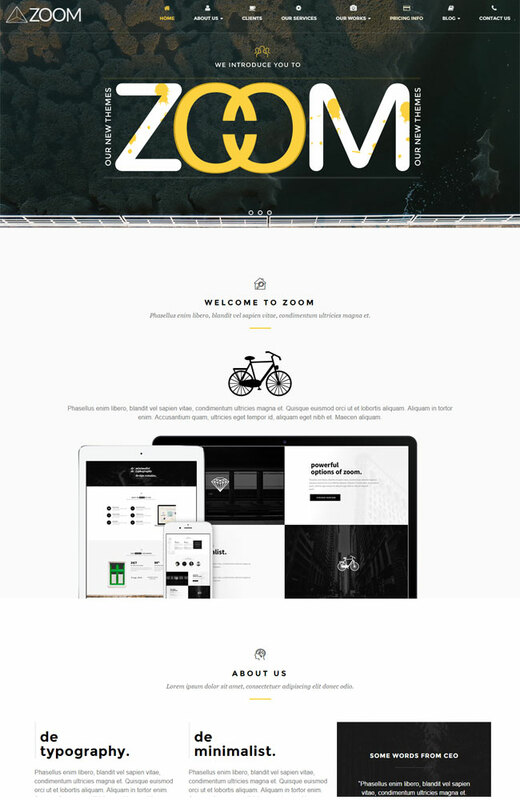 Zoom a One-Page and all device compatible WordPress Theme. This Theme using some cool 3D effect. With the help of 3D effect user can rotate, zoom, and scaling the pages. 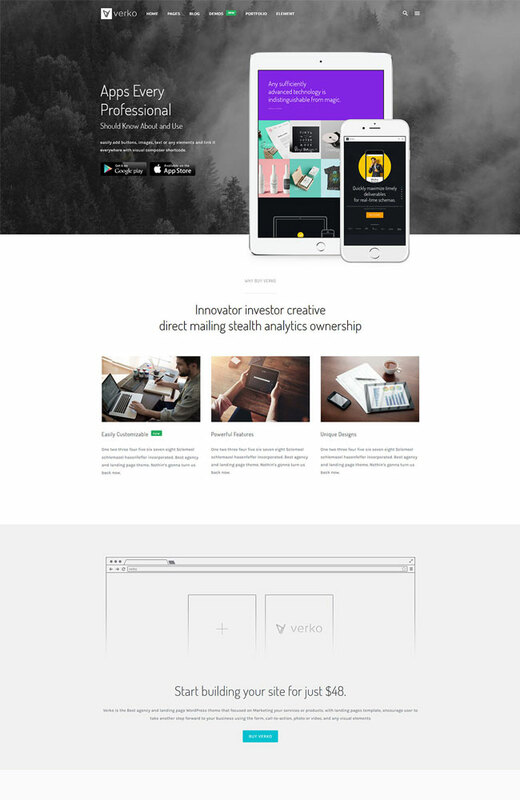 This Theme is very flexible and adjustable for personal branding, Small business, Corporate, and Portfolio website. 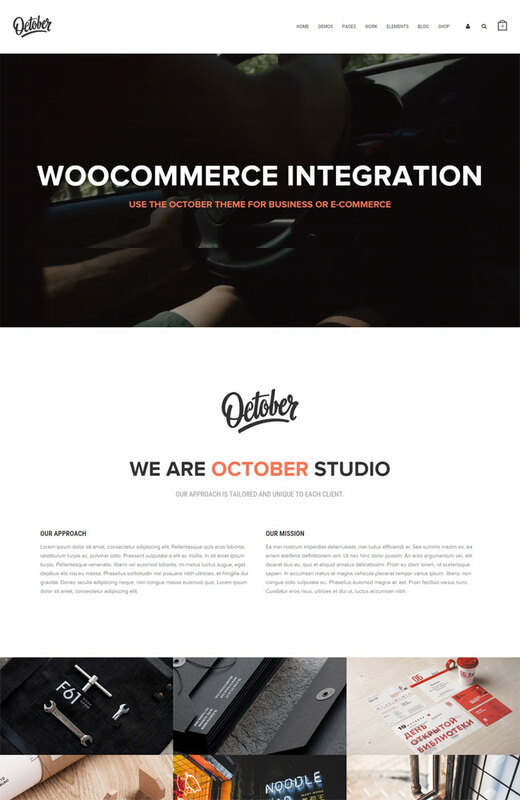 October is a Multi-Purpose WordPress Theme created with a Creative Way. This Responsive Theme comes with powerful options panel with Drag & Drop Visual Page builder. Design your web pages with different layouts. 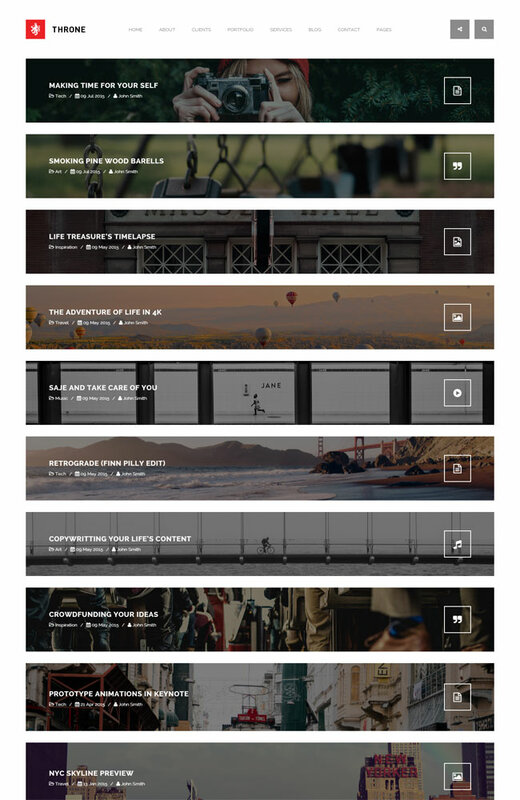 You will get 600+ Google Fonts to display your content with an awesome style to the audience. This is a great choice for business, creative agency or personal portfolio, photography or a blogging website. NINE WordPress Theme Design & Developed with a creative way. This theme is easy to edit with multi-purpose uses.You will get 9 different color schemes, 9 Design styles, and 9 Different Templates. Milo helps you to create a clean and modern website and works smoothly to all devices. You don’t need to spend money for buying any plugin, this Theme packed 9 plugin which is necessary for your life. The section builder will help you to add or edit new section. 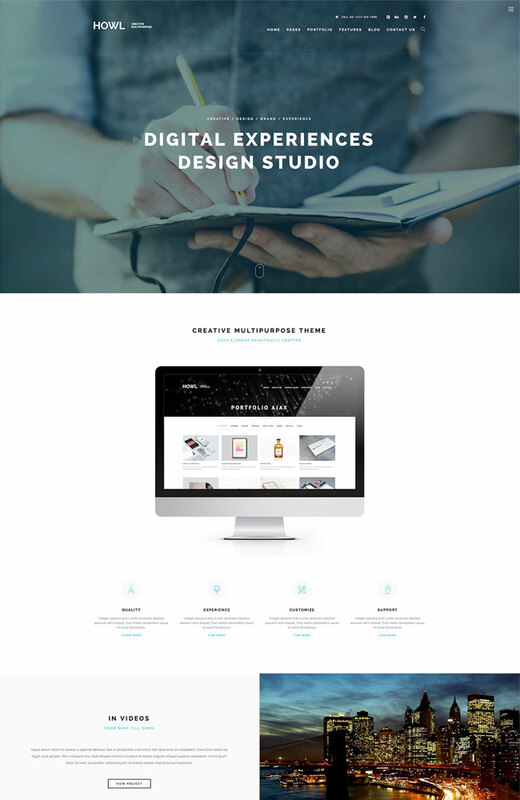 Howl designed with a creative for focused on the multipurpose design like Portfolio or Corporate Websites. You can arrange your website with One-Page and Multi-Page system. Do you know that Credenza is the first WordPress Theme to use Visual Composer based Portfolio. You can easily import pages, posts, sliders, widgets, theme options and more with a single click. Just replace the dummy content with your content and your site is ready within a few hour. Use the best font from 500+ Google Font with unlimited color. 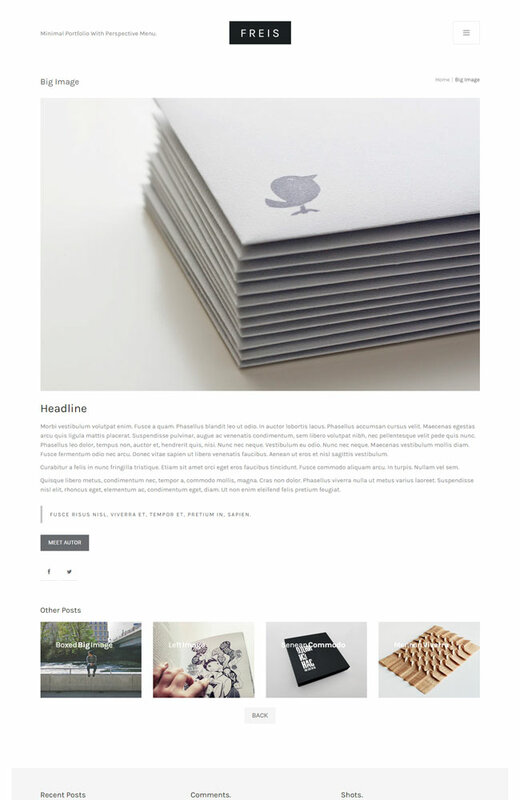 Phoenix is a simple Minimal Portfolio WordPress Theme. This Theme provides you Visual Composer which helps you to edit your pages like a hand scratch. 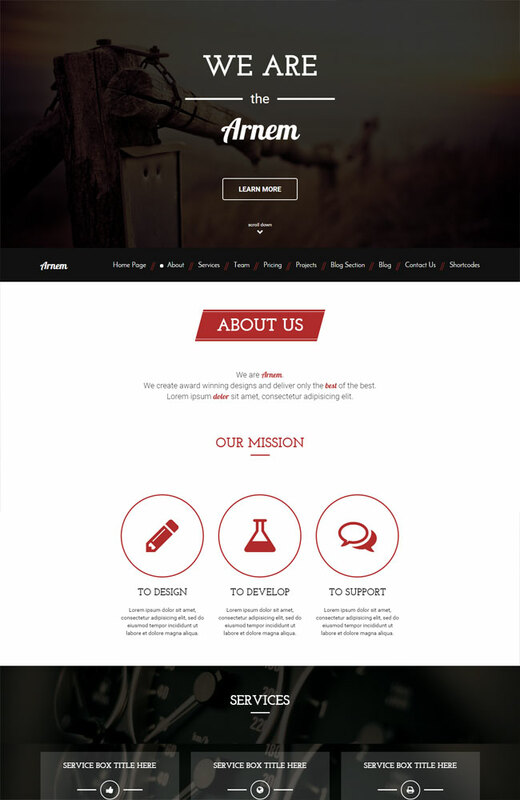 100% Responsive and developed with Bootstrap Framework. If you are a minimal lover and like simplicity then this Theme is the right choice for you. 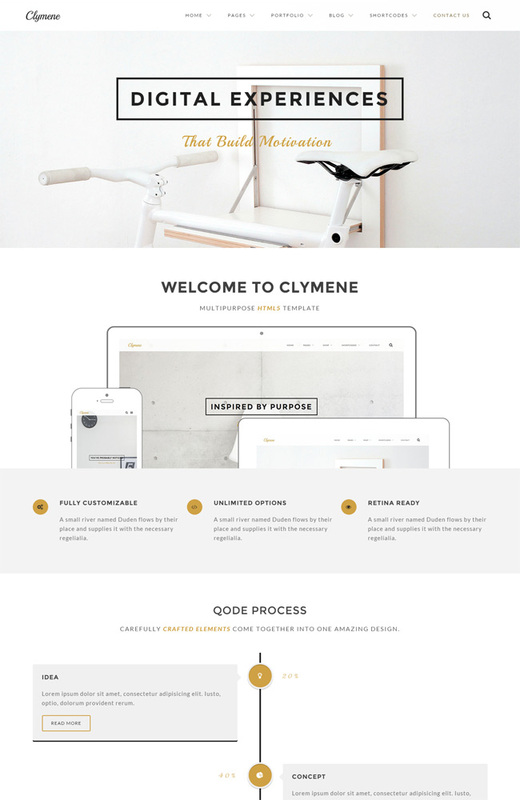 Clymene is a very simple but goregious premium WordPress Theme. 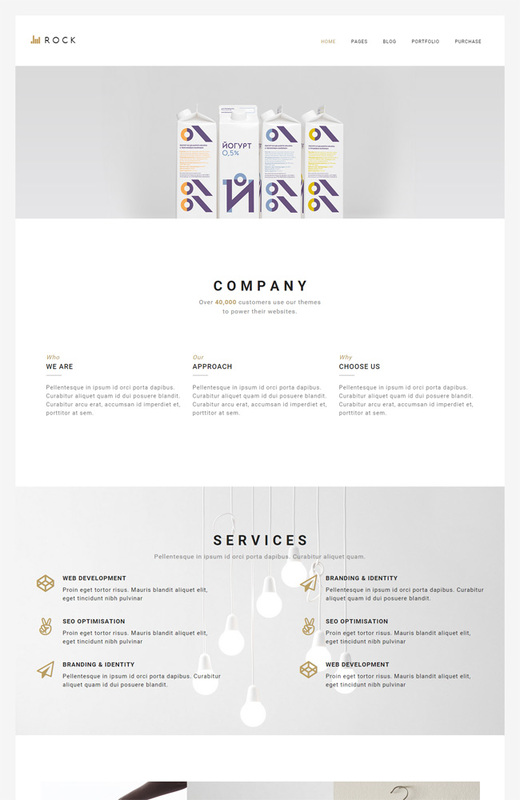 This Clymyne Theme design with a wonderful style. If you are searching for showcasing your portfolio or photograph, this is the winning Theme for you. This Theme suitable for Portfolio, Creative Agency, Designer Portfolio, Illustrator Portfolio, Photographer Portfolio and more. 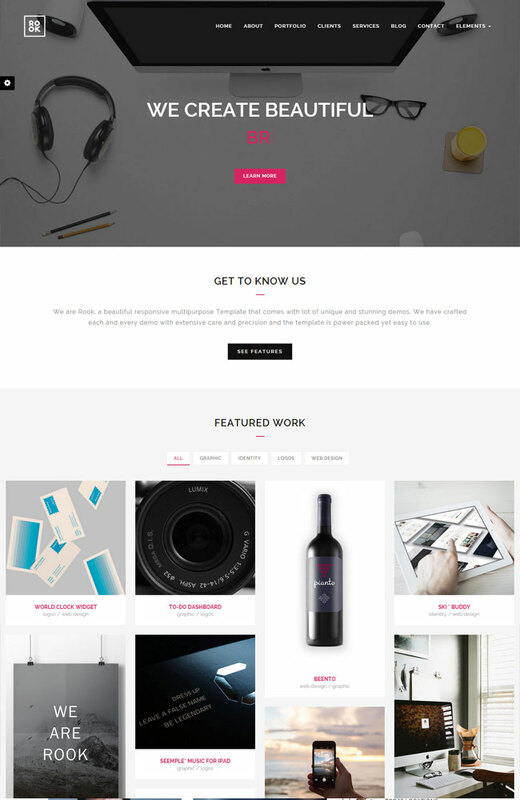 POCKFOLIO a WordPress Theme perfect for Freelancers Portfolio and Agency Websites. Very flexible and well documented Theme. This theme can be used for personal and professional use. This Theme designed with pure HTML5, CSS3, and jQuery. It provides masonry portfolio grid, which loved by many users. BigStrem WP Theme can be used for both multi-page or One-Page sites. You will get 20+ homepage variations and 25+ other necessary pages with 8 Premium Plugins. Searching for a creative Theme for your next Web Project? 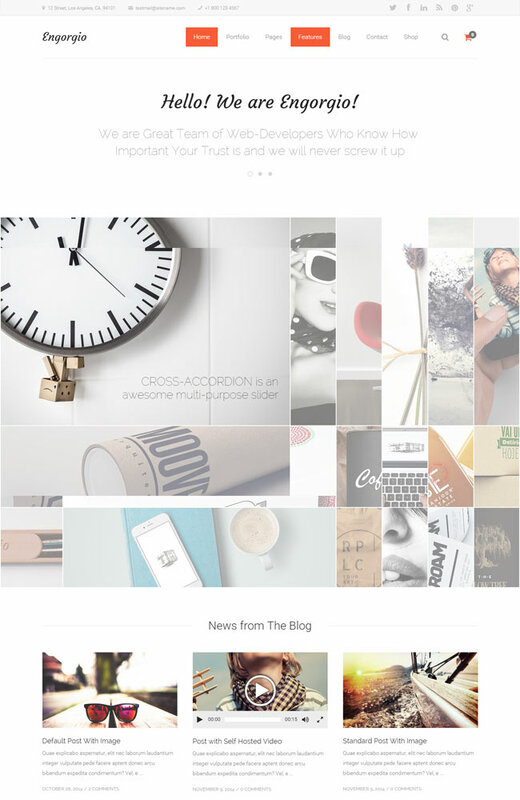 TopPic is fully Responsive and very powerful theme with Retina Ready. The design will make happy to your Website visitors. There are different types of layout. There are some awesome features like fullscreen unlimited sliders, skin manager, boxed or wide layout, super easy gallery, video background, 5 creative menus, WooCommerce ready, WPML support and much more. 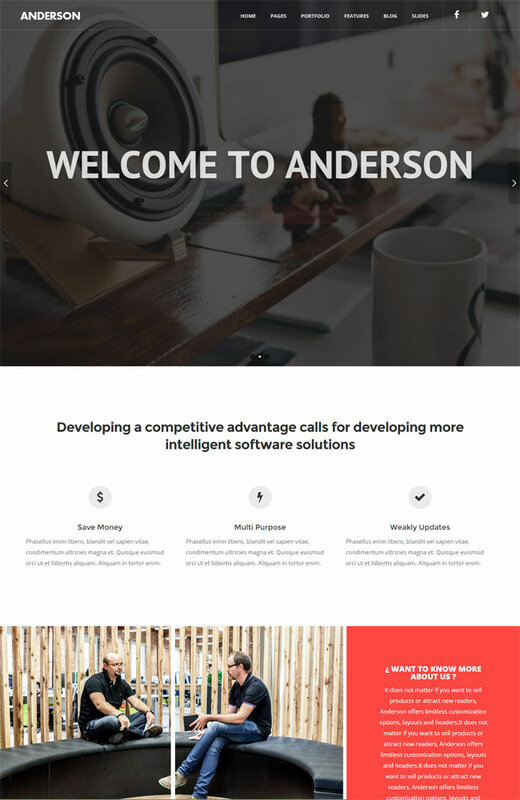 Anderson A new Premium Multi-Purpose WordPress Theme. This Theme suitable for any type of website like personal portfolio, Business portfolio, Creative Agency, Mobile Apps and so on. You will get one click install which helps you to create a demo site within a few minutes. Drag and Drop page builder helps you to create different types of page. Aspact is a retina Ready Theme and Designed with Twitter Bootstrap. 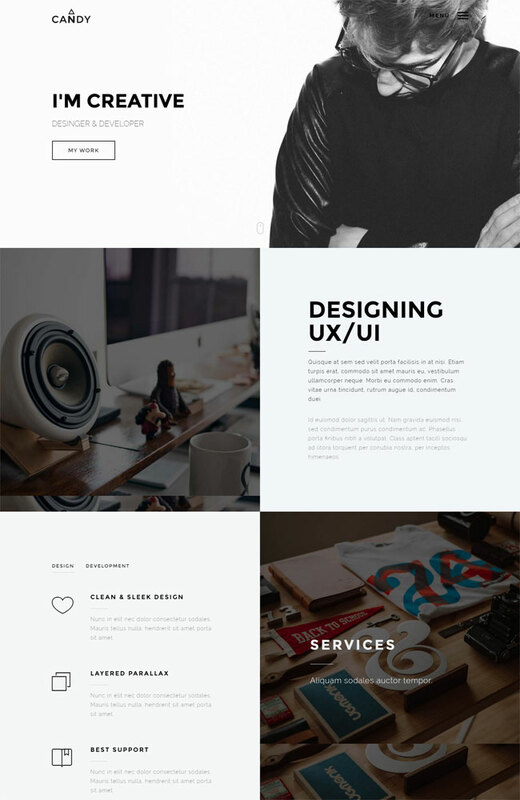 Clean, Modern and Interesting design is the main key of this Theme. This Theme packed with powerful TouchSize Layout Builder. You will get unlimited possibilities and options. 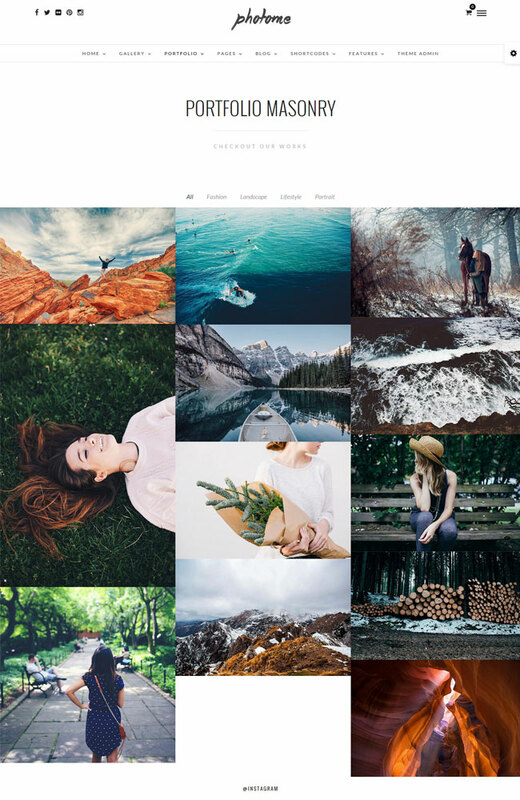 Emilie Photography Portfolio WP Theme designed with latest HTML5,CSS3, and jQuery. There are 4 unique layouts of homepage named Fullscreen, Fullpage Scroll, Masonry grid and Smart Grid Control. This is oe of the best choice for Photography Portfolio Website. Perhaps, if you try to developed any cretive agency site you can use this Theme. 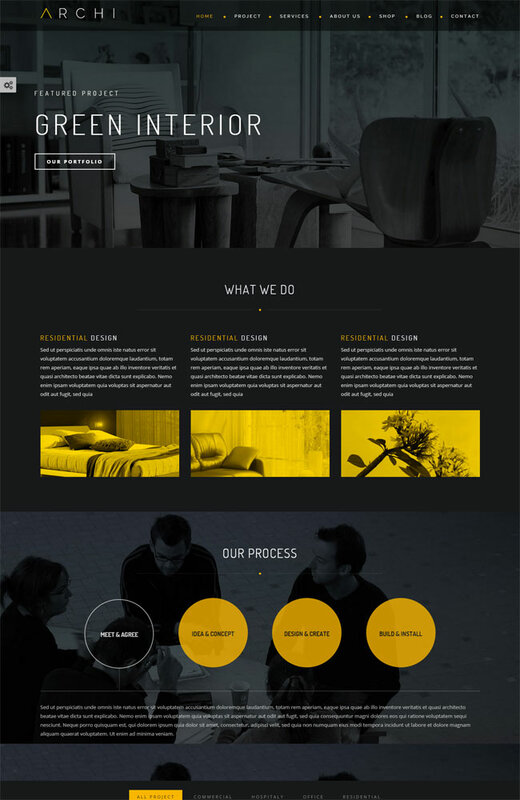 Archi WordPress Theme developed for Interior Design services. Archi helps you to developed a modern website in this present world. HTML5,CSS3,jQuery and Bootstrap 3 helps to design and develop Archi Theme. 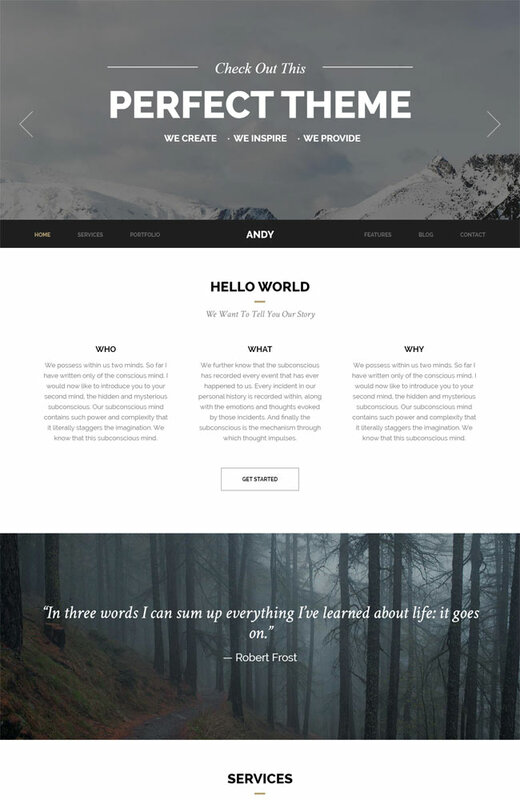 Firstly, Andy one of the best modern WordPress Theme. This Theme adjust perfectly on any size of screen. 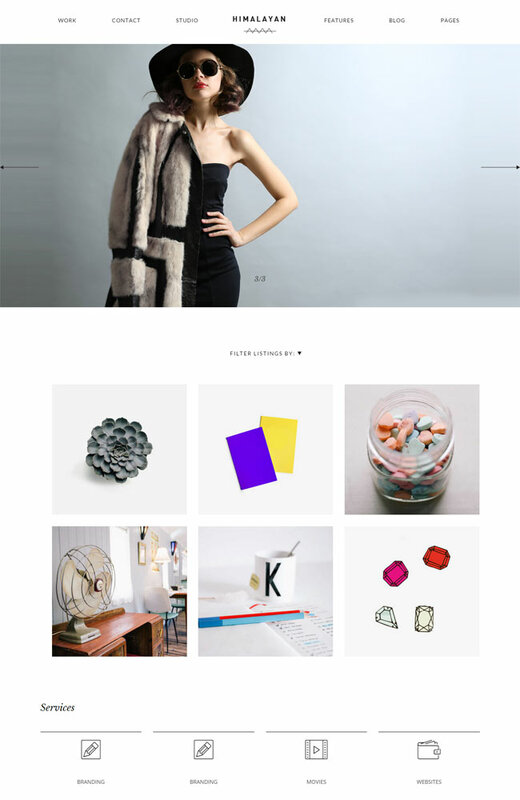 This WordPress Theme is perfect for creative design agency, web development agency, PR agency, fashion agency, and any type of startup business Website. Throne is a minimal Theme and 100% compitable with any type of device. This WordPress Theme build with Bootstrap and provides Cross Browser Compatibility. A Retina Ready Display and perfect for Photography or Portfolio Website. Pure HTML5 and CSS3 used for designing and developping this Theme. Visual Composer packed with this theme, it helps you to build different types of pages with different layout. 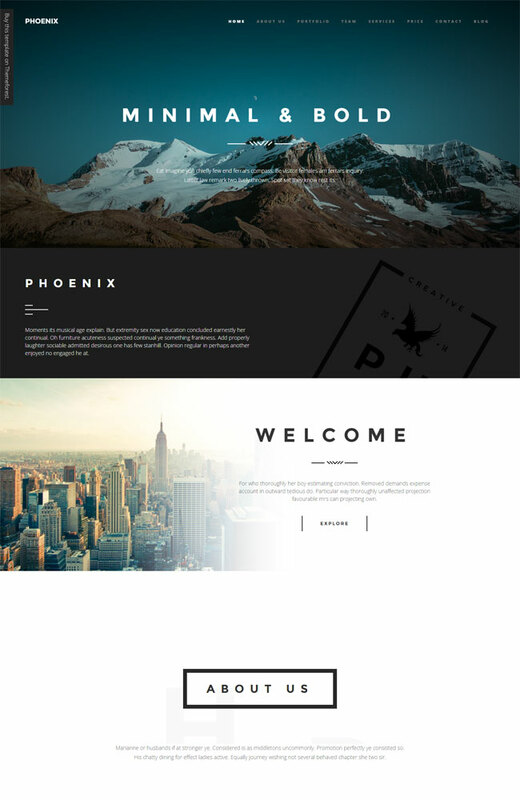 A super Modern WordPress Theme. It is very simple and comes with an outstanding portfolio concept. This is perfect for agencies, studios, designers for highlighting their work. 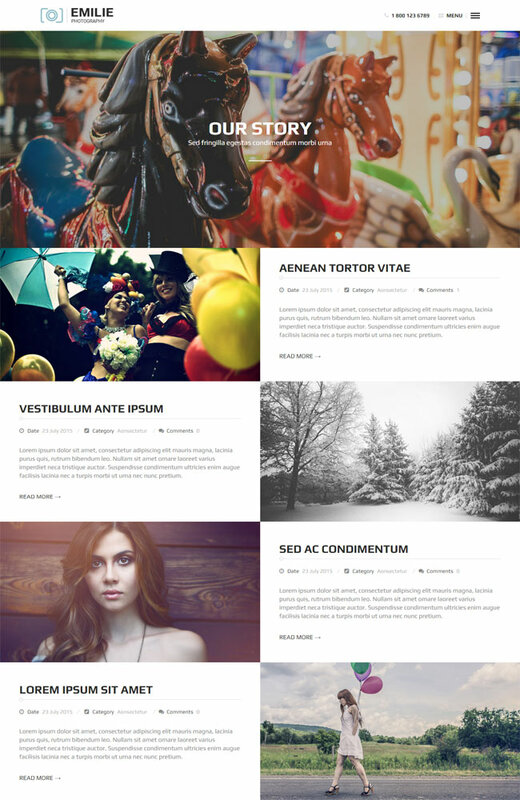 Freis a Portfolio WordPress Theme. This Theme designed with a creative mind. 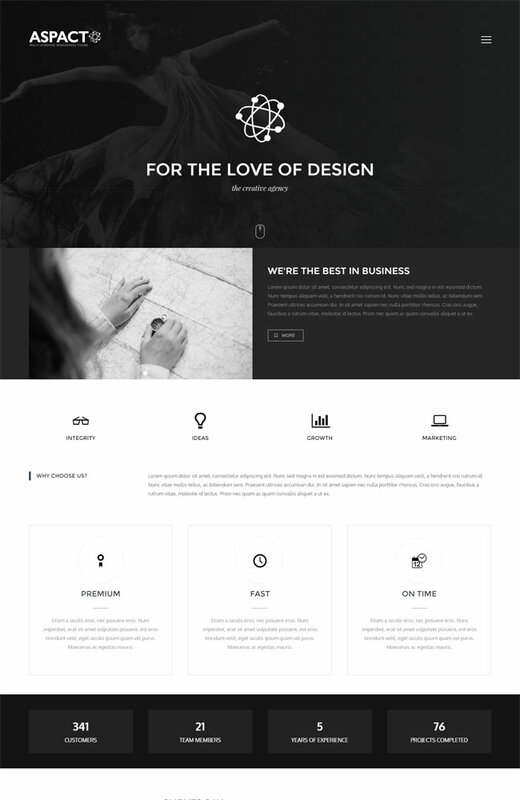 This Theme is perfect for any type os agencies, business or individuals website. Retina Ready features with Parallax. This is a great way to present your business with the world. Some credit goes to Visual Composer, Master Slider for making this awesome Theme. Pure and latest HTML5 and CSS3 technology used for this Theme. 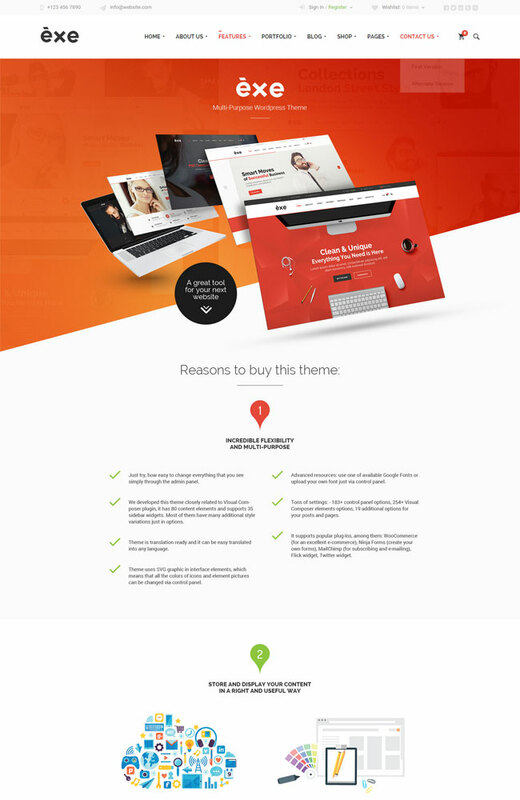 Super Multi-Purpose WordPress Theme. 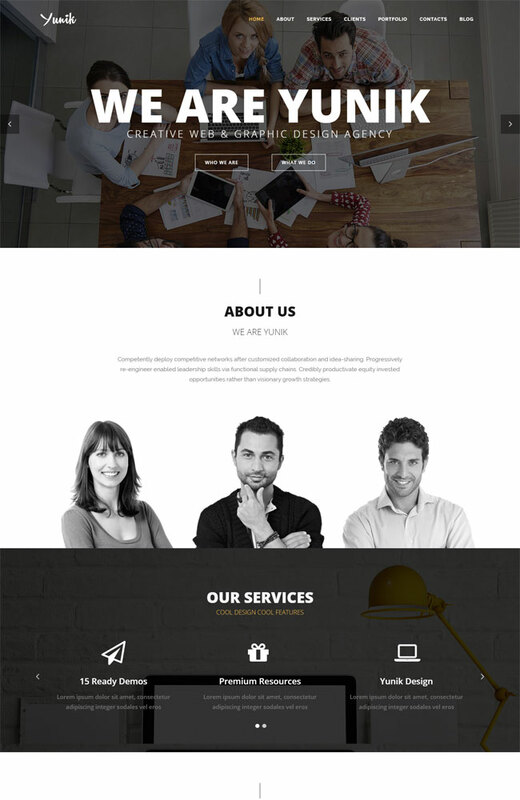 Use this Engorgio Theme for any corporate website. This Theme packed with better customization features which help you to make something different and awesome. 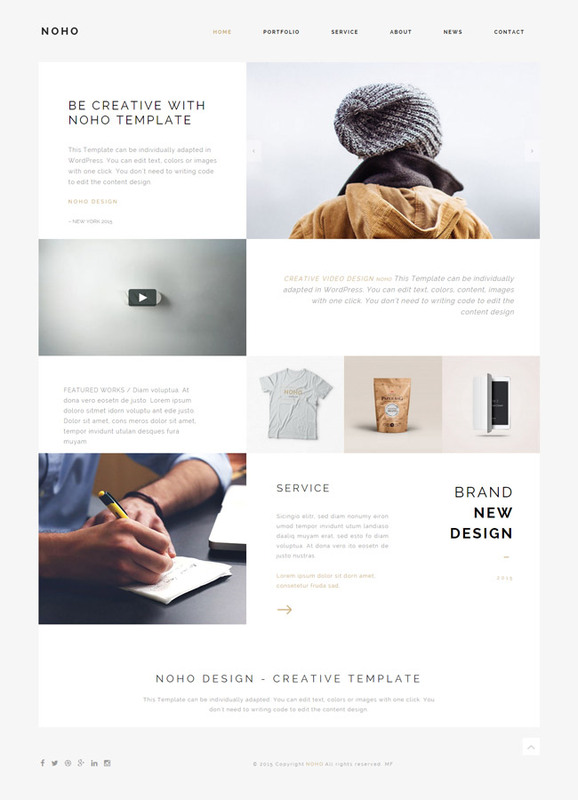 NOHO is a Multi-Purpose WordPress Theme and suitable for all different types of creative Website. NOHO is developed with modern technology and clean design. 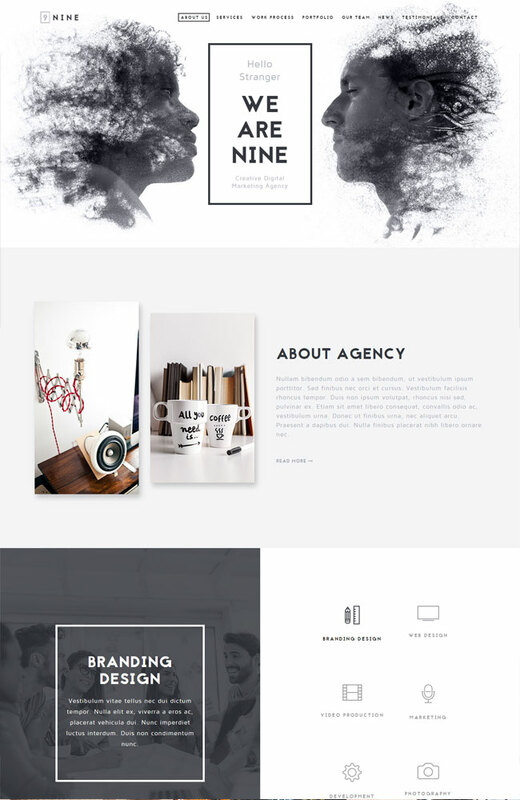 Especially this Theme is perfect for Portfolio, Photography, Landing, Agency and so on. That’s all for freelancer portfolio collection. If you face any problem don’t hesitate to contact us.